Strategies for leading clients through the Drupal design and implementation process. Dani Nordin is an independent user experience designer and strategist who specializes in smart, human-friendly design for progressive brands. She discovered design purely by accident as a Theatre student at Rhode Island College in 1995, and has been doing some combination of design, public speaking and writing ever since. Dani is a regular feature at Boston's Drupal meetup, and is a regular speaker at Boston's Design for Drupal Camp. 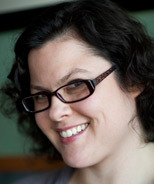 In 2011, she was one of several contributors to The Definitive Guide to Drupal 7, published by Apress; Drupal for Designers is her second book. You can check out some of her work at tzk-design.com. She also blogs almost regularly at daninordin.com. Dani lives in Watertown, MA with her husband Nick and Persephone, a 14-pound giant ball of black furry love cat. Both are infinite sources of comedic gold.